Jason Livermore, a Commonwealth Games relay gold medallist from Jamaica, has received a two-year suspension following an unsuccessful appeal to an Independent Anti-Doping Disciplinary Panel. Livermore, winner of the Commonwealth games 200 metres bronze medal at Glasgow in 2014 before joining Usain Bolt, Kemar Bailey-Cole and Nickel Ashmeade in a victorious 4x100m relay quartet, submitted a urine sample showing traces of anabolic steroids clomiphene and mesterolone in December 2016. The 29-year-old has now been handed a backdated suspension and will be out-of-action until February 8 in 2019. This was exactly two years after he was provisionally suspended. In his hearing, Livermore reportedly told the three-person Panel, administered by Jamaica's Ministry of Culture, Gender, Entertainment and Sport, he was taking medication in an attempt to enhance his fertility with a view to starting a family. According to the Jamaican Gleaner, he claimed to not be aware that there was a risk of inadvertently taking banned substances and had not applied for a therepeutic use exemption permitting him to take products for medical reasons. Livermore's claim that he was not aware of the anti-doping rules was also dismissed as he and his club had been sent updated information from the Jamaican Anti-Doping Commission. "Having considered all of the evidence before us, we have been unanimously persuaded - to the degree of proof required - that Mr Livermore did in fact have prohibited substances in his person," Kent Gammon, chair of the Independent Anti-Doping Disciplinary Panel, said. "And while we are of the view that Mr Livermore did not necessarily intend to cheat, he was negligent not satisfying himself that the drugs were not prohibited substances and in fact should have applied for a Therapeutic Use Exemption certificate." 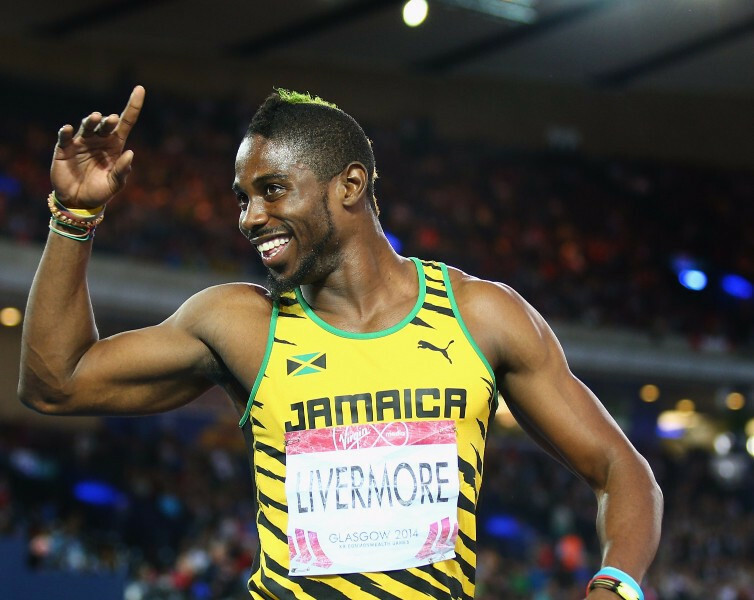 Livermore, who boasts personal bests of 10.03 secfor 100m and 20.13 for 200m, will now be ruled out of several top events, including next year's Commonwealth Games in Gold Coast. Last year Jamacia's 4x100m relay team of Bolt, Nesta Carter, Michael Frater and Asafa Powell were stripped of the Olympic gold medals they had won at Beijing 2008. Carter was disqualified from the race after he failed a drugs test for banned energy boosting substance methylhexaneamine following re-analysis of frozen samples. The team have all now returned their medals to the International Olympic Committee.